The tree of life, as scientists understand it, is not static – it changes. Classification systems have changed with science’s understandings of the diversity and organization of the living world, so don’t think that we know it all! Prior to the 1970s, scientists generally classified living things as Bacteria or Eucarya. The scientific community was understandably shocked in the late 1970s by the discovery of an entirely new group of organisms – the Archaea, “bacteria” that live at high temperatures or produce methane clustered together as a group well away from the usual bacteria and the eukaryotes. 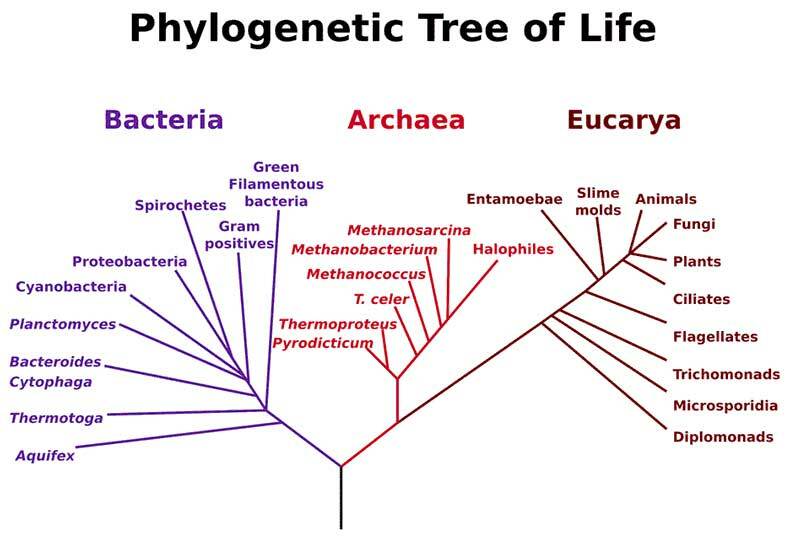 Because of this vast difference in genetic makeup, in 1990 scientist Carl Woese proposed that life be divided into the three domains: Bacteria, Archaea, and Eucarya. Figure 3.19: In the 1990s, the scientific community added the domain Archaea to the tree of life to reflect recent discoveries.